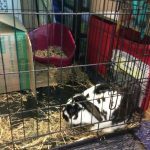 Introducing Olga, Felicity and Herbert at Polkadot Alcester! 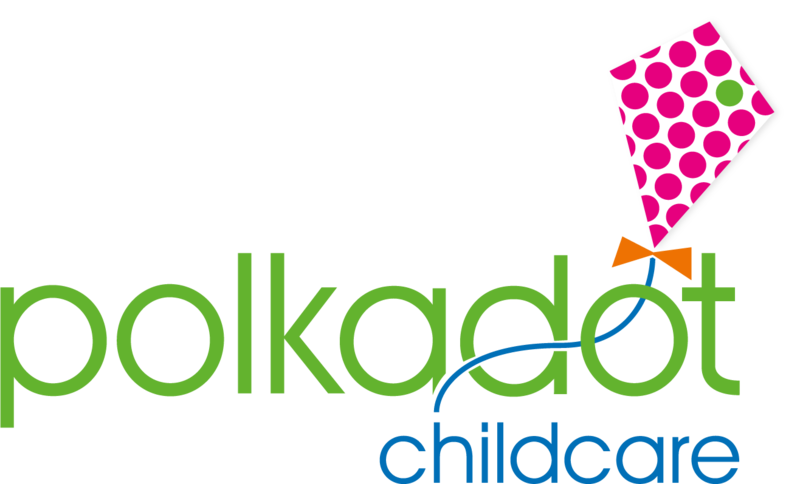 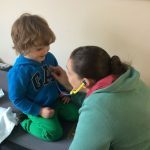 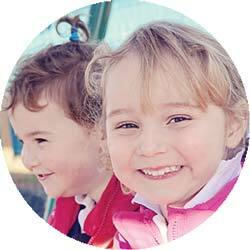 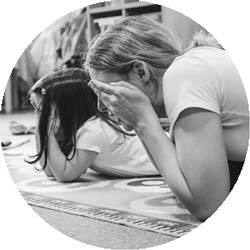 These characteristics are displayed by the children throughout their time at Polkadot and help Practitioners to recognise how each child learns. 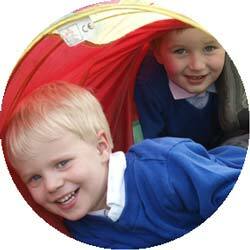 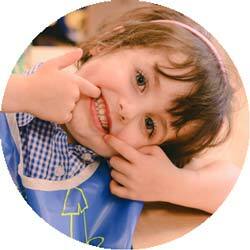 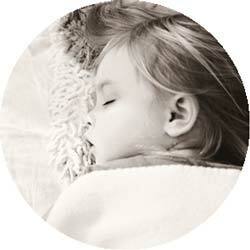 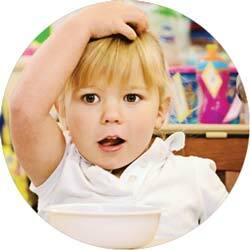 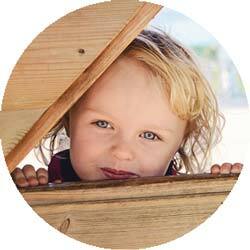 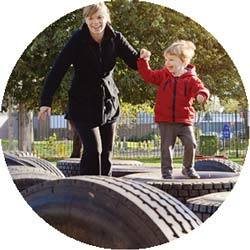 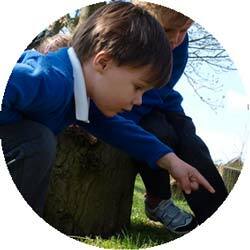 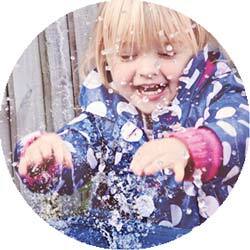 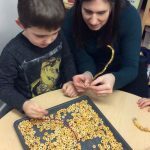 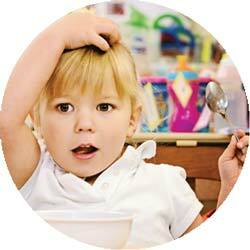 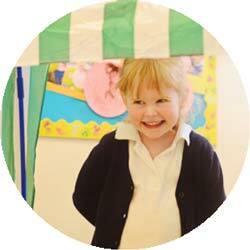 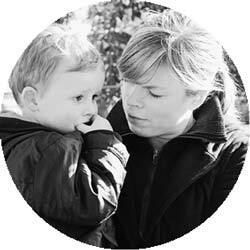 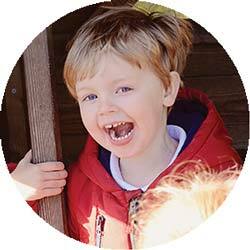 This enables them to provide activities and learning environments that support every child’s learning style. 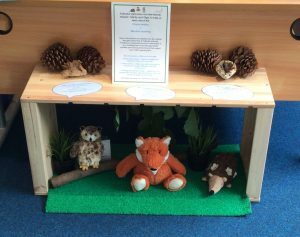 Each character represents a different characteristic and the children will be encouraged to ‘think of ideas’ like Olga the Owl or ‘keep trying’ like Felicity the Fox. 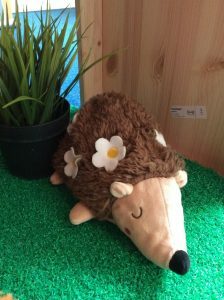 Hello, my name is Herbert the Hedgehog! 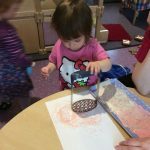 I love to Play and Explore! 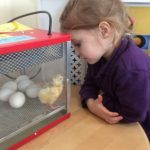 I can be very curious. 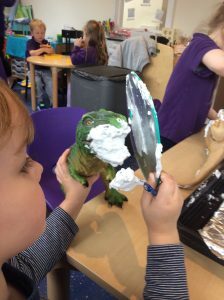 I join in with open ended activities. 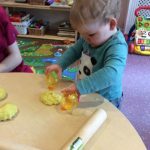 I learn by trial and error. 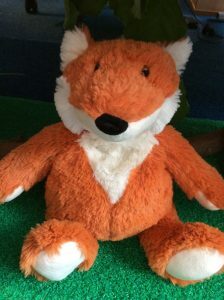 Hello, my name is Felicity the Fox! 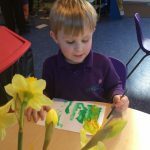 I am an Active Learner! 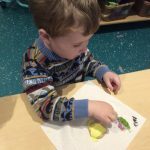 I enjoy meeting my goals. 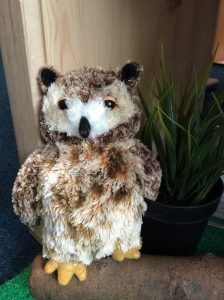 Hello, my name is Olga the Owl! 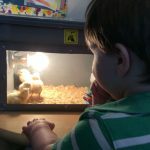 I Create and Think Critically. 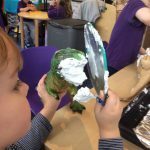 I find ways to solve problems. 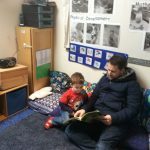 I can talk about my ideas, about what went well and what I would change. 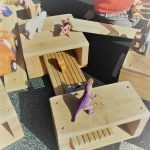 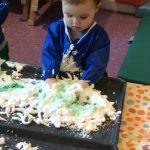 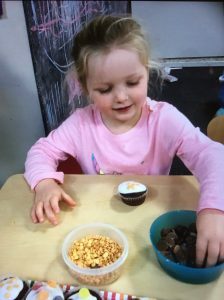 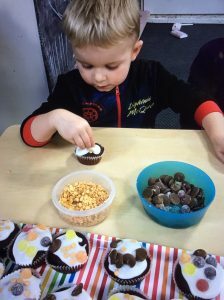 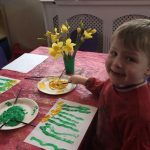 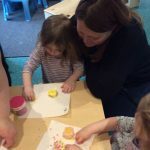 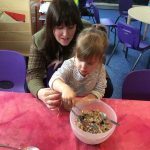 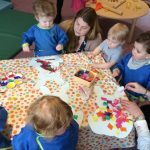 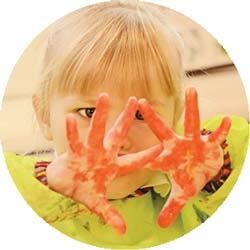 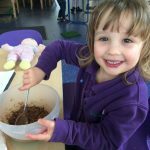 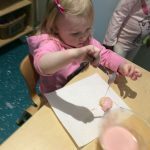 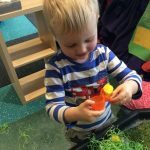 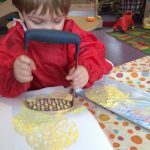 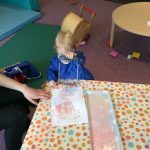 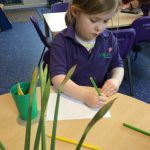 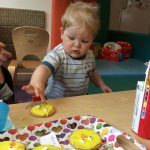 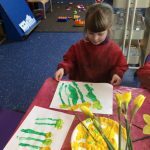 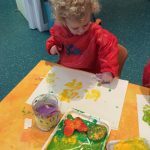 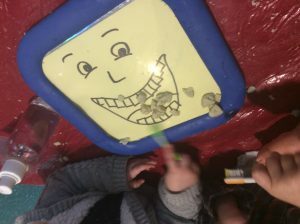 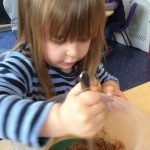 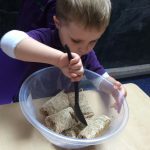 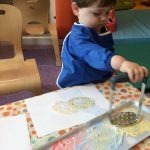 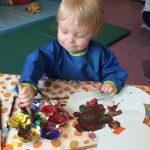 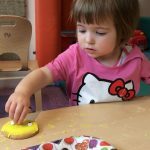 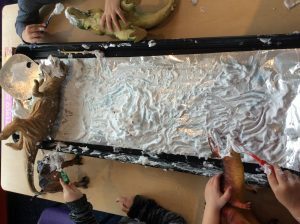 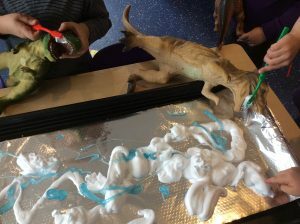 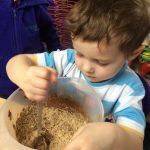 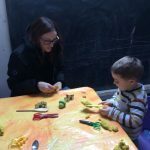 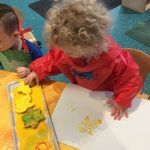 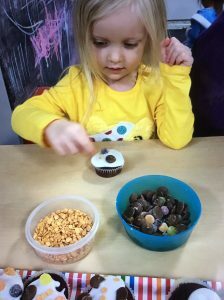 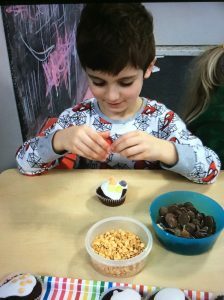 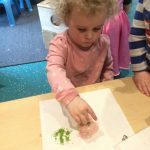 – there were lots of messy and creative activities with shape printing and carrot painting. 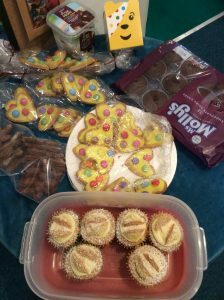 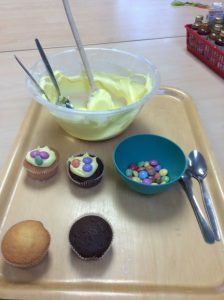 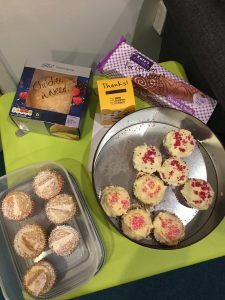 There were biscuits to be decorated plus a variety of imaginative trays with chicks, eggs, seeds, rabbits and carrots! 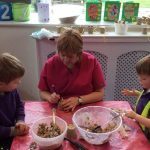 Followed by a delicious tea of toasted Hot Cross Buns. 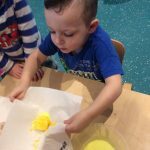 Thank you to all the families that were able to join us – we hope you had as much fun as we did! 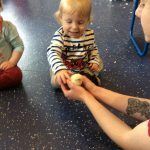 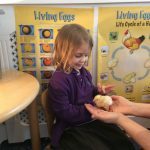 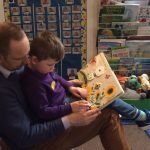 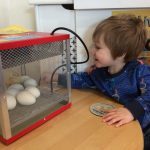 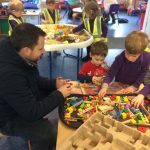 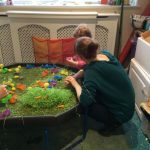 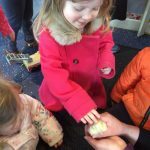 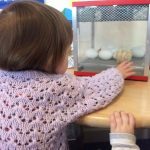 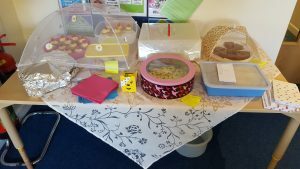 It was very exciting to take charge of a special batch of eggs in the Alcester Pre-School room, the children were very curious as to what was happening in the box and quickly learned some new words such as “incubator” and “hatching”. 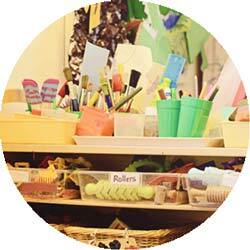 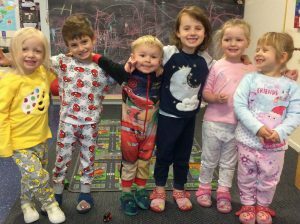 The children from TopDots and Baby Dots were soon to visit to check out the new arrivals! 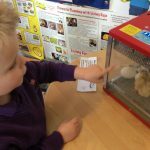 Egg watch became the theme of the week and both children and adults were on tenterhooks waiting for the first crack! 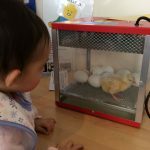 It took a few days and a little bit of help but eventually we had a lovely brood of fluffy yellow chicks cheeping away in their brooder box. 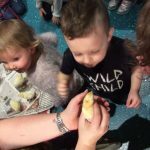 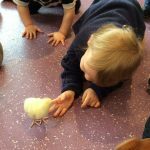 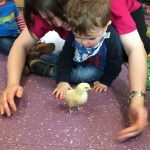 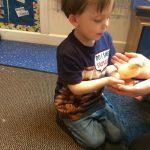 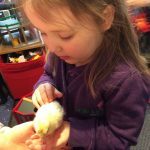 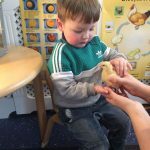 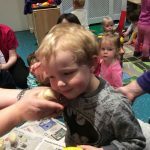 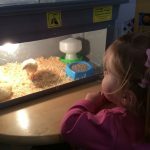 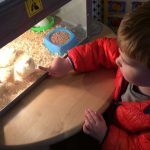 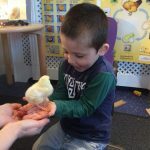 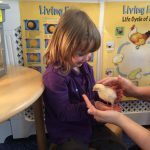 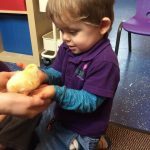 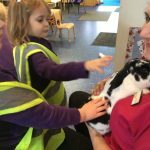 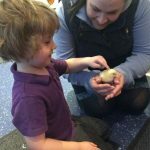 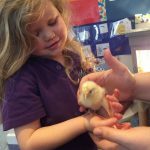 All of the children were really thoughtful and gentle when stroking and getting to know the chicks, the Pre-School children spent a long time discussing different names, among the suggestions were Optimus Prime and Charlie Chick. 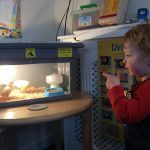 During the second week, the chicks visited each room in their brooder box and the children took turns to hold them and feel their soft fluffy coats and listen to their cheeping getting louder and louder! 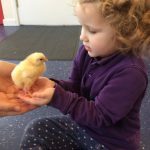 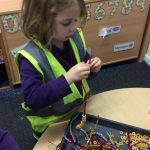 The Pre-School children noticed that the chicks had started to grow feathers on their wings and their tails and all too soon it was time to say Goodbye to our little friends as they went off to their new homes. 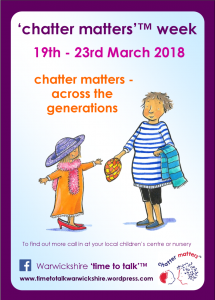 The children at Polkadot Alcester would like to invite their Grandparents (and/or Parents) to join them on Thursday 22nd March from 9.15am for a sing-a-long session to celebrate Chatter Matters Week – ‘Across the Generations’. 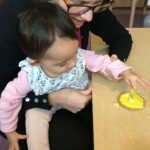 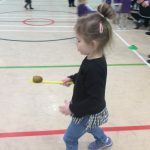 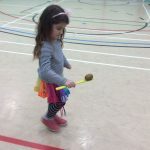 On the day, Grandparents will be invited to sit with the children (chairs can be provided) and follow a practitioner-led session of songs and rhymes. 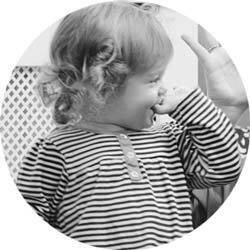 If any Grandparents know any songs that we don’t, we would love to hear them! 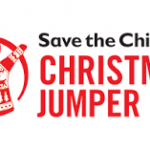 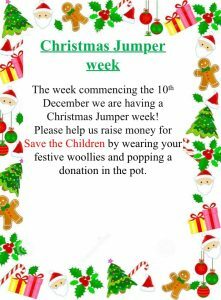 Please let your child’s room leader (Michelle/ Hayley L/ Marie) or the Nursery Manager (Sarah) know if you or any relatives are planning to attend. 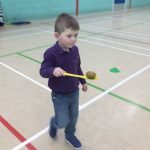 Enjoying the Pancake Race in Alcester! 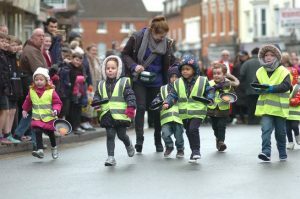 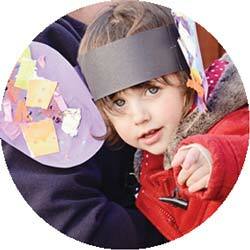 Some of our Pre-School children joined in with Alcester’s pancake race again this year. 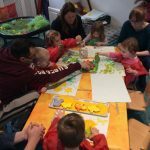 Check out the below link to see us in the article from the Redditch Standard!